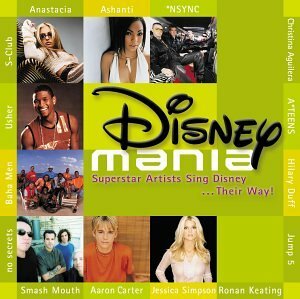 On May 20, 2008, the sixth compilation tribute album in the Disneymania series, aptly titled Disneymania 6, was released through Walt Disney Records. The album mostly featured artists under the Hollywood Studios record label or featured on Disney Channel, such as Demi Lovato and Plain White T’s. The album had four promotional singles: “Cruella de Vil” by Selena Gomez, “That’s How You Know” by Demi Lovato, “Kiss the Girl” by Colbie Caillat, and “Real Gone” by Billy Ray Cyrus. The album peaked at number 33 on the Billboard 200. 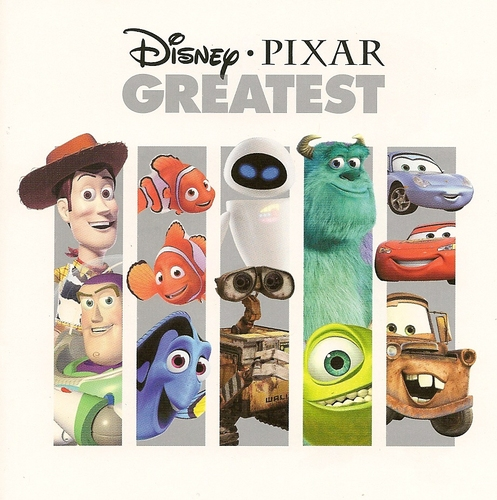 Posted in Uncategorized and tagged 2000s, Compilation, Music, Tribute Album, Walt Disney Records. Bookmark the permalink. On April 1, 2003, the compilation tribute album O Mickey, Where Art Thou was released through Walt Disney Records. 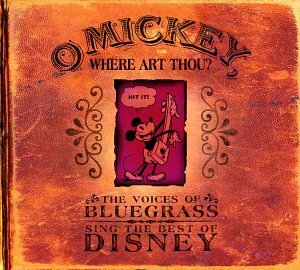 The album featured a Bluegrass take on classic Disney songs, from “When You Wish Upon a Star” to “When Somebody Loved Me,” by stars of the genre, including Elizabeth Cook and Stonewall Jackson. The album received mostly mixed reviews. It peaked at number 21 on Billboard’s Top Kid Audio chart, and 51 on Billboard’s Country Albums chart.